Daily brushing and flossing cannot guarantee good oral health if performed improperly. In addition to gum disease and tooth decay, poor dental hygiene can affect the heart, brain, lungs and other parts of the body. Here is a deeper look at this issue and what you can do about it. 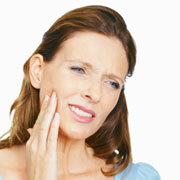 Poor oral health has been linked to problems throughout the body. For example, studies have shown that oral bacteria may spur development of dementia in older adults by contributing to formation of plaques in the brain. In studies of diabetic patients, unhealthy teeth and gums have been shown to worsen blood sugar control. Women trying to conceive have been found to have more difficulty succeeding when they have periodontal disease. Finally, bad oral bacteria have been linked to heart disease and a number of serious lung ailments, including pneumonia and COPD, also known as chronic obstructive pulmonary disease. According to researchers, this may happen when oral bacteria travel to other parts of the body through the bloodstream. Biannual visits to our dentist in Torrance are essential for preventing poor oral health and its complications. However, patients can also lower their risks by using correct dental hygiene at home, including flossing and brushing daily with a soft toothbrush. By rinsing with an antiseptic mouthwash before brushing, patients can further protect themselves from bad oral bacteria. Finally, patients who experience a dental emergency in Torrance should contact our dentist immediately to avoid long-term complications affecting their oral and overall health.